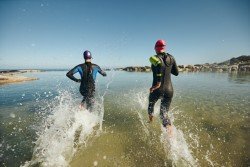 Interested in training for a Triathlon but don’t know where to begin? 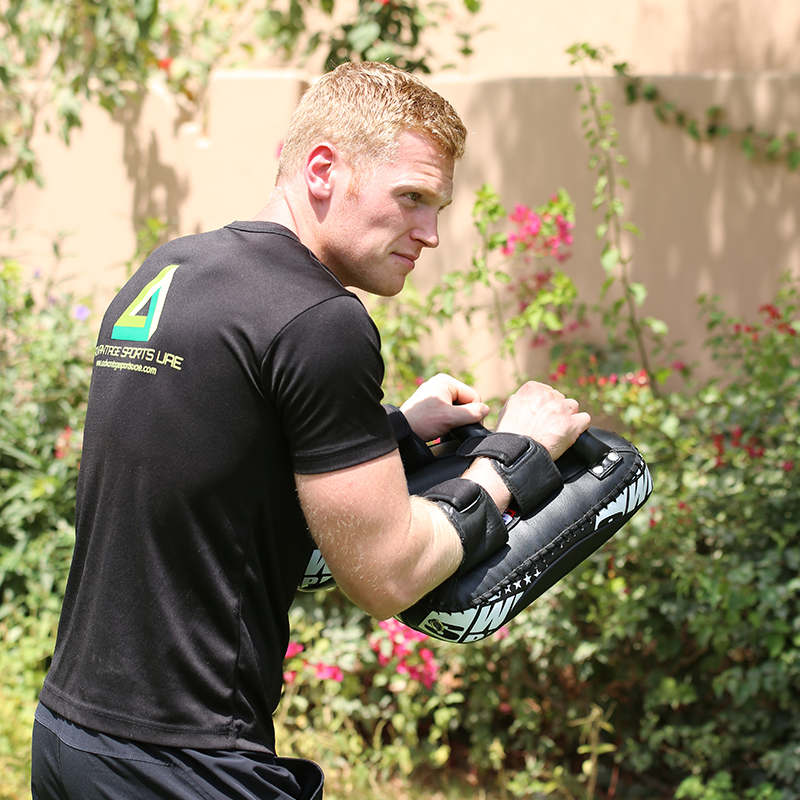 Jack McAllister – an Abu Dhabi Personal Trainer – will guide the way. Triathlons were once only considered for the niche market of the fitness elite, and the endurance junkies, but year after year they continue to grow in popularity and are now fairly mainstream. In the UAE there are a wealth of clubs and groups for beginners and veterans alike; these days it’s going from strength to strength. During the race season there is a large choice of races and events suitable for all levels, the biggest question these days is how do I start? A good personal trainer in Abu Dhabi can help you prepare for any of these events. You are going to be swimming, cycling and running so the best place to start your training is to practise these disciplines. To begin with 6 training (not including strength) sessions in a week, splitting these evenly between disciplines. If our bike session is going to be a hour, the swim will be around the 30 minute mark and then around the 40 minute mark for your run. The start of your training program should reflect your current fitness level; the workload grows as your fitness level grows. Its believed 12 weeks is sufficient time to train for a sprint distance (750m swim 20km bike 5km run) if you’re an average out of shape adult. This is the most daunting part for beginners and a swim coach will be worth their weight in gold, your going to have to get comfortable with the idea of swimming in open water and in a group of people with flailing limbs. The best remedy for this is get time in the pool honing your technique. First things first get a bike and a helmet and then use them there isn’t too much more to say about that at the beginning, get comfortable on it and get some kilometres racked up in the saddle, a service and a bike fit from your local bike shop would be beneficial and you might pick up some tips while your there. With your current fitness level in mind start easy, set your self a realistic starting point and progress from there, your not running a marathon in a week. Get your running shoes from a place that knows what they are on about. A correct fitting shoe will help you in the long run and prevent possible injury. Get the best and most reliable brands, your personal trainer will guide you on what it the correct equipment for you and why. Your new day-to-day diet will probably be a bit more health conscious. Healthy fats and Carbs low on the glycaemic index for more energy. Lots of fruits and vegetables for nutrients, and good proteins sources such as fish and lean meat and a lot more water and a lot less sugar and processed foods. Typical triathlete injuries don’t come from falling off the bike but rather overuse, the best way to beat injury is to prevent it, undertaking a good program consisting of improving muscle strength and also stretching out and releasing tension. A good personal trainer in Abu Dhabi can help you train the correct way and allow you to get the most out of your training sessions.